With a 400 year heritage, Pickfords is rightly proud of its journey to becoming the UK’s leading removals and storage company. 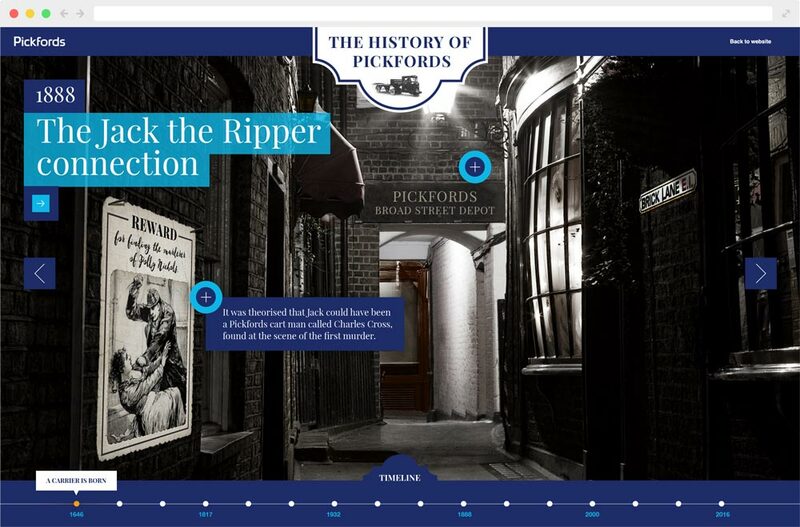 Feeling that this was a story that needed to be shared, Pickfords engaged IDS Logic to create an original and engaging online presentation charting the company’s growth through the centuries since its earliest records in 1646. 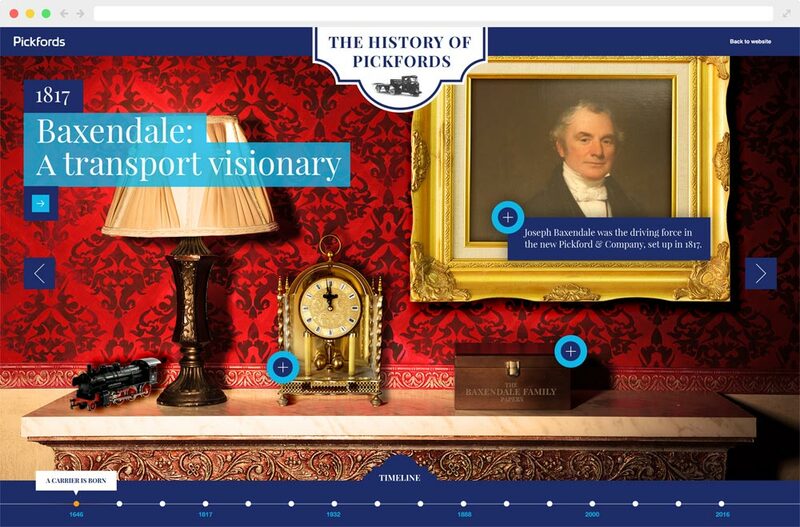 Working with imagery from Pickfords’ own archive and other sources, the presentation uses a suite individually composed scenes to place key stages of Pickfords’ growth in the context of important events in history. 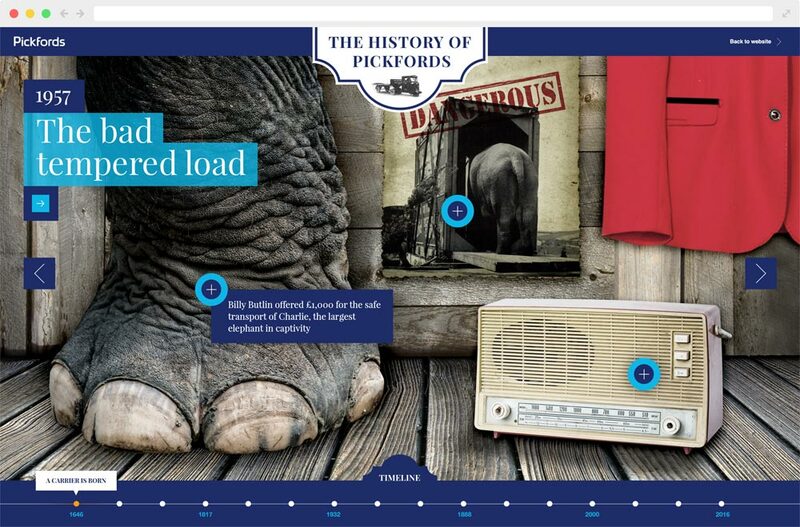 Users can follow Pickfords’ journey using an interactive timeline which presents snippets of information while greater detail is available in content overlays to support presentation applications. The new presentation has received great feedback from inside and outside Pickfords and has become a centre piece of Pickfords web content. 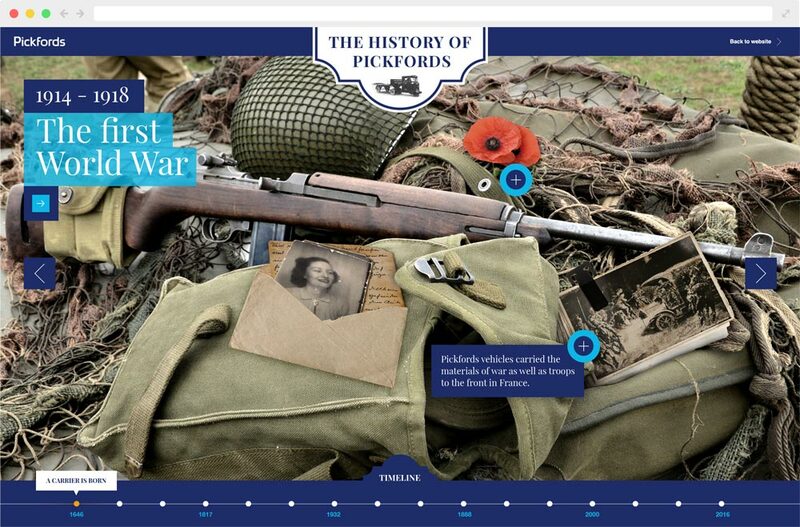 It is actively used as a shareable asset to promote Pickfords in search and social campaigns. Pickfords’ sales teams can now demonstrate the heritage, personality and values of their well known brand with both pride and humour.